We all rely on electricity in our day to day lives, whether it’s to watch TV, run the heat pump, or put on a load of washing – you’re adding to your power bill. The rate you are charged for the power you use is referred to as a “variable rate”. This is usually between $0.24/kWh and $0.35/kWh for customers on Low User plans, and between $0.16/kWh and $0.21/kWh for Standard User plans. If you’re not sure about the difference, check out our electricity ratings and guide. Usage charges can make up a large portion of your power bill, particularly if you’re on a Low User plan. That’s why it’s important to do your research to find a good rate on electricity – but what exactly does a “good rate” look like? 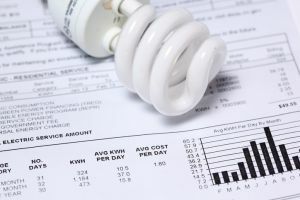 In this article, Canstar Blue breaks down the average electricity costs by kWh and provides a guide on how to find a cheap deal in your area. The price you pay for electricity largely depends on your energy distributor – the company responsible for maintaining the poles and wires that transport power to your home. There are over 30 distributors in New Zealand, with each operating in exclusive geographical areas. Some distribution regions have only a single or few electricity retailers to choose from, while more urban regions will usually have many more electricity retailers competing for your custom. In the table below, we have estimated the typical usage rates in major areas by averaging the rates of some leading retailers, namely, Powershop, Energy Online and Globug. As you can see, the rate you pay for electricity varies considerably depending on your region. While you might not think a few cents makes much difference, these costs certainly add up over a year – especially for households using plenty of electricity. Notice also that customers on Low User plans are charged a higher rate. While that seems a little unfair at face value, Low User customers are charged a fraction of the daily fixed supply charge that Standard Users must pay. A Daily Fixed Charge is a fee associated for the cost of simply being connected to the electricity grid – you’re charged this regardless of how much power you use. While Standard Users pay Daily Fixed Charges anywhere from $1.20 to $3.00 per day, Low users are usually only charged 30 to 40 cents per day. A Low User Plan is recommended for households that consume less than 9,000kWh of electricity per annum in the south island and less than 8,000kWh in the North Island. Most customers are on a Low User plan and it is especially ideal for 1-2 person households. All other energy customers should be on a Standard User plan. Where do I find variable rate charges? Finding your electricity rates can be a little tedious, but it certainly pays to do your research. To find the rates of an electricity retailer, visit their website and look for a pricing section. Most retailers require you to insert an address, though some just need to know your general area to give you an idea of your rates. How frequently do rates change? What type of tariff is this? Does this retailer offer discounts? Does this contract lock me in? Are there any additional perks? Who sets my electricity usage charges? Electricity retailers are usually responsible for setting the variable rate charge, while distributors set the Daily Fixed charge. Power companies have to buy electricity from generators at a wholesale price, which makes up the largest component of the variable rate charge. The power company also factors in the Electricity Authority levy as well as its own operating costs when settling your variable rate charge. The daily fixed charge component of your power bill reflects the expected cost to the distributor of maintaining the electricity network, including the meter rental and meter reading costs. The Electricity Authority regulates daily fixed charges to varying extents. Some distributors are limited by revenue caps which restricts what they can charge customers. How often do electricity rates change? It’s most common for electricity rates to change just once every 12 months. Some retailers, such as Globug, do this on a by-customer basis, changing individual rates on the anniversary of their sign up. Other retailers apply a customer-wide rate change on a set date. For example, Meridian Energy recently changed its rates for customers on most networks effective 1 April 2018. Powershop is a particularly unique retailer, changing rates on some networks almost every month. In most situations, your energy company needs to give you advanced notice that they’re changing your rates, allowing you to switch retailers if you’re unhappy with the price change. Some retailers offer what is called a ‘fixed rate plan’. These deals essentially stop your rates from changing for a period of time – usually two years. 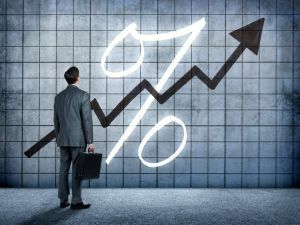 While the initial variable rate may be slightly higher than standard deals, you can potentially save in the long term by sheltering yourself from electricity price increases. Only the variable rate charge is frozen however, so any change to the daily fixed charge or Electricity Authority levy will be passed on to the customer. How do I find the best kWh price for power? The fact that you’re reading this means that you’re already on the right track to finding a great deal on power. But when comparing power companies, it’s important to consider the broader picture – don’t become too focused on finding a deal with a big prompt payment discount or special perk. 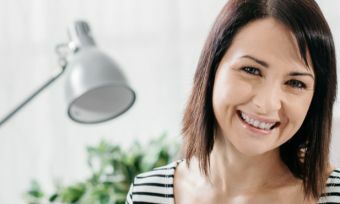 Be sure to balance all the rates, discounts, fees and contract periods when making a decision, as well as more personal factors such as customer service and support. To help you find a better deal on electricity, Canstar Blue asked thousands of Kiwis to rate their power company. You can see which company was rated highest using the link below.